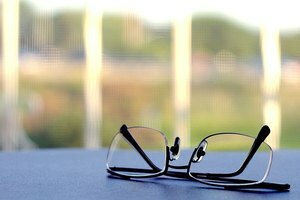 What Does the Magnification of Reading Glasses Mean? Reading aloud can increase fluency. Fluency in reading is distinct and different from comprehension and involves the speed, accuracy and tonality of a reader when they read aloud. Although fluency is distinct from comprehension, the two are interrelated. Often, readers with high levels of reading comprehension are also very fluent readers, and the inverse is also true. Low comprehension is often associated with low fluency. Difficulty occurs when students are trying to comprehend at the same time they’re reading aloud. One of the best ways to increase fluency is to model it for students. When a teacher reads books aloud with the right amount of pacing, expressiveness and pitch, students learn by their example. The best way to model fluency is to choose a text that is age- and reading level-appropriate and have students read along silently as you read it aloud. If the book is suspenseful, add pauses to heighten the suspense and then ask students why they think that you paused or raised your voice during certain sections. This makes the reading more engaging and interactive, and students will learn how to vary the tone and pitch as they read. 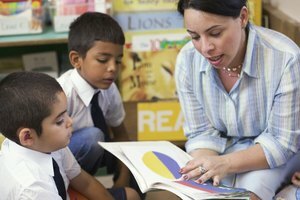 Having students practice reading aloud is a great way to help them become more fluent readers. This can be done either in whole or small groups. With a whole group, read the text aloud first and then have students echo read and repeat lines or sentences together aloud, mimicking how you read it. With smaller groups, you can have students echo read one at a time and take turns with different pieces of the text. Students of all age groups enjoy reading plays. They get to “act” using their voice alone. Because script reading involves conveying emotion without actually physically acting out a scene from a play, students are forced to vary the pitch, pacing and tone of their voices to convey meaning. 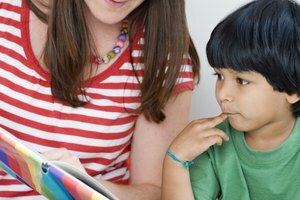 Reading plays helps students with fluency because the effectiveness of their portrayal of certain characters depends on the fluency of their reading. The faster and more advanced that a student is in reading comprehension, the more fluent they naturally are when reading. Some students need extra support and assistance with reading comprehension before they can become truly fluent. Taking the time to assess student comprehension and provide continual reading comprehension activities will also promote fluency. Alleyne, Stacy. 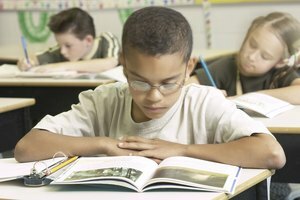 "How to Build a Student's Fluency in Reading." 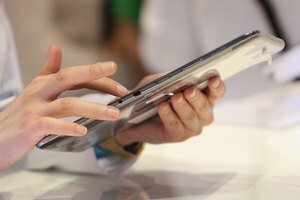 Synonym, https://classroom.synonym.com/build-students-fluency-reading-14595.html. 26 September 2017.